One single barrel (20 cases max!) that has outstanding balance as a stand alone wine. It is kind of like the “Doyle” of our Oregon production! Only produced in extraordinary vintages and named after the Vineyard itself, Alloro Vineyard. 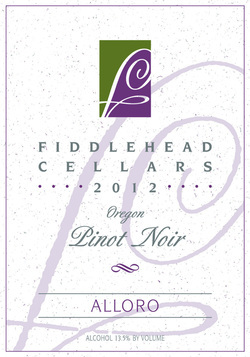 It must be rich and spicy with Oregon “flair” to receive the vineyard designation.